Does Philadelphia have the bus service it deserves? Philadelphia could not run without its bus system: More commuters use buses than any other mode of public transportation. Every day, about 113,000 people rely on buses to get to and from work. Yet this vital operation is on the brink of crisis. The region’s buses are losing riders at such a rate that SEPTA is considering a major reinvention of its network. That’s where we -- and you -- come in. Philadelphia Media Network is hosting a public conversation about what a better, more modern bus service might look like. 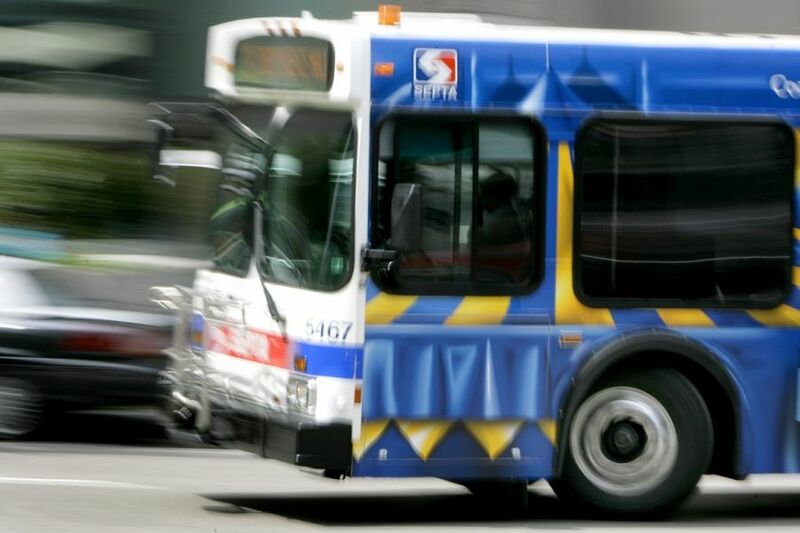 A panel of riders, transit experts and leaders from SEPTA itself will exchange ideas about how an overhauled bus network might complement this growing, changing city and provide more efficient, more equitable transportation for its people. And you will have a chance to offer your own ideas, and ask questions. When: Monday, October 2, 6:00 p.m. - 7:30 p.m.
Jason Laughlin (moderator) began writing for the Inquirer in 2014 and became the transportation reporter two years ago. His award-winning coverage has explored virtually every aspect of how Philadelphians get around, from Uber and Lyft to Regional Rail, and, of course, the challenges facing the region’s bus network. A city resident for 18 years, he is a daily mass transit user. Philadelphia native Marcus McKnight has over 6 years of transit experience, specializing in the customer service field, in various capacities for SEPTA and other organizations. Marcus first developed an interest in transit as a student in Philadelphia when he became aware of the wide variations in quality of transit service over the city's neighborhoods. Marcus believes in helping people get to places and destinations much more efficiently. Tabitha Decker directs the New York City program at TransitCenter, a philanthropic foundation that supports research, advocacy, and leadership development for transit reform across the United States. She is currently engaged in a coalition-led effort to bring systemwide reform to New York's notoriously slow and unreliable local buses. Tabitha’s work for more equitable and sustainable urban transit is underpinned by more than a decade of research in cities around the world. She has a BA in international relations from Wellesley College and a PhD in sociology from Yale University. Erik Johanson is the Director of Business Innovation for the Southeastern Pennsylvania Transportation Authority (SEPTA) in Philadelphia. In this position since 2015, Mr. Johanson is primarily responsible for informing strategic transformation of SEPTA business policies and practices through exposure to innovative organizations and concepts. His portfolio includes SEPTA’s five-year Strategic Business Plan and award-winning Sustainability Program. Mr. Johanson is the former co-chair of the American Public Transportation Association (APTA) Sustainability Commitment Subcommittee and Sustainability Metrics Working Group. A native and resident of Philadelphia, Mr. Johanson holds a Masters Degree in Governmental Administration from the University of Pennsylvania’s Fels Institute of Government and a Bachelors Degree in Political Science from Tufts University. Christopher M. Puchalsky, PhD. Philadelphia’s Office of Transportation and Infrastructure Systems. His work has taken him from the private sector, designing engines for the Ford Motor Company, to serving as a transportation consultant in the United States and abroad. Prior to working for the city he was director of transportation planning for the Delaware Valley Regional Planning Commission. He has Bachelor‘s and Master’s degrees in Mechanical Engineering from Temple University, and a PhD in Urban Transportation Systems Engineering from the University of Pennsylvania.